The American Academy of Pediatrics (AAP) and the American Heart Association (AHA) issued a joint statement on March 25th urging measures to reduce consumption of drinks containing sugar. The 2015-2020 Dietary Guidelines recommend that children consume less than 10 percent of calories from added sugar. Current data shows that sugar provides 17 percent of calories, half of which is derived from sugary drinks. The joint AAP and AHA statement calculates that each child on average consumes 30 gallons of sugar-containing drinks annually. The Associations recommended the same approach used to reduce use of tobacco by children. Excise tax on sugary drinks with funds used to improve health. 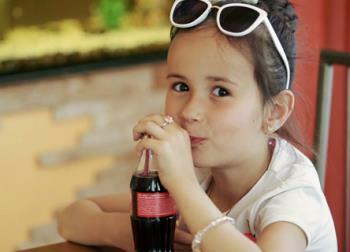 Regulations to limit marketing of sugary drinks to children and teens. Advocating water and milk as alternative drinks for children including limiting placement in vending machines and restrictions under any Federal nutrition assistance program. Hospitals and schools should establish policies to limit purchase of sugary drinks by patients and visitors. The AAP and AHA point the success in reducing consumption of sugary drinks in Berkeley, CA. and Philadelphia, PA. following introduction of taxes.